If you know anything about me, then you know how obsessed I am with bees - saving them, for the most part, and I think they're adorable. I have aaaalll the bee-friendly flowers in my garden, alongside my bee tattoo and the Alice Takes A Trip bee jumper that I'm wearing as we speak. I was already in conversation with Bee Good regarding our upcoming #NWmeet and they offered to send me something to try. I literally jumped at the chance and a few days later, their Honey & Propolis 2-in-1 cream cleanser* arrived through my door! I am a fan of cream cleansers anyway, when I can be bothered, and after watching a load of Caroline Hirons' videos with Sam we've decided to up our skincare game. I first tried the Bee Good cleanser out with the muslin cloth that comes with it; nothing against them, they just don't work for me, but I gave it a fair shot and it did get most of my make up off. I prefer a flannel, as I find they hold heat and moisture better, but that's just me. The cleanser smells lovely: it's only very mild, and it's so fresh. You only need a tiny squeeze to cover your whole face (I've got a big fat moon face, too) and it feels amazing on the skin. It melts away make up and leaves you feeling squeaky clean without that irritating dry and scratchy feeling. It's a star product for me - it works so much better than Liz Earle Cleanse and Polish and it hasn't *touch wood* broken me out like that one did! 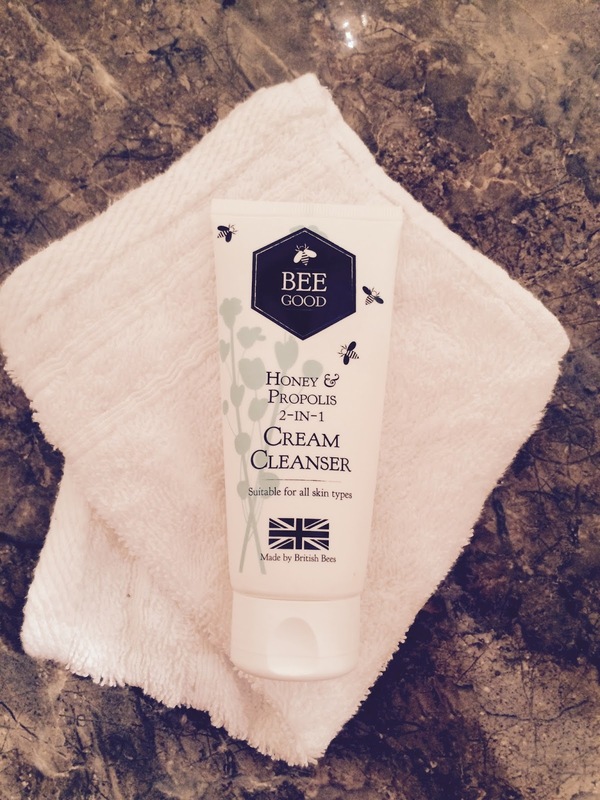 Bee Good Honey & Propolise 2-in-1 Cream Cleanser retails for £11.50 and comes with a muslin cloth. 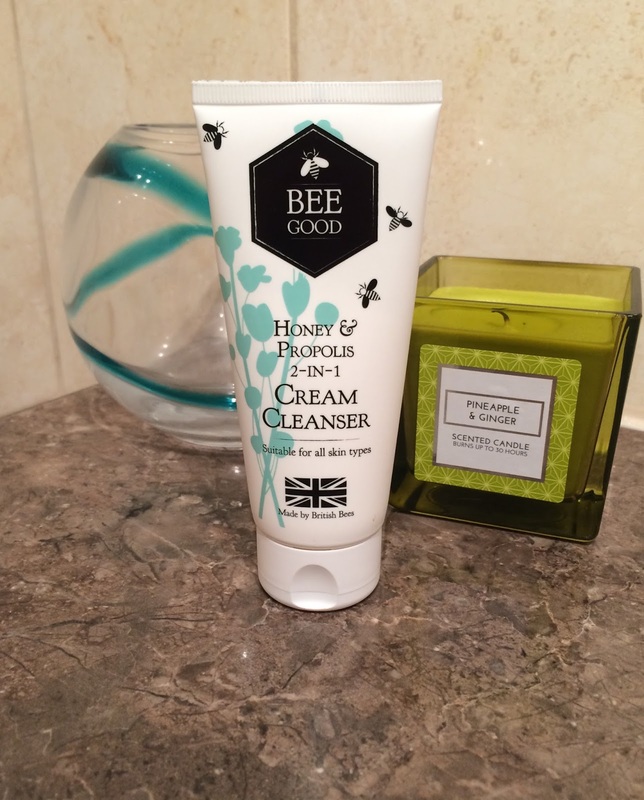 It's made by good ol' British bees and the propolis is fab because of it's healing and antibacterial properties. Have you tried anything from the Bee Good range? Let me know if you have any recommendations! Do think this would be any good for spot prone skin? I've heard honey is really good for it, and this sounds like such a great cleanser!